Outbound and return flights were booked a week before. Everything was in order including my short slides and video presentation of our pilot project “English for every child.” But as the day draw closer, uneasiness and nervousness started to crept it. How can I feel not nervous knowing that the audience are big names in the government? If I were to summarize my feelings before and after my presentation at the Democrat Party house – even if I can – I won’t. I prefer to tell a story and not just the gist of it. LoL. 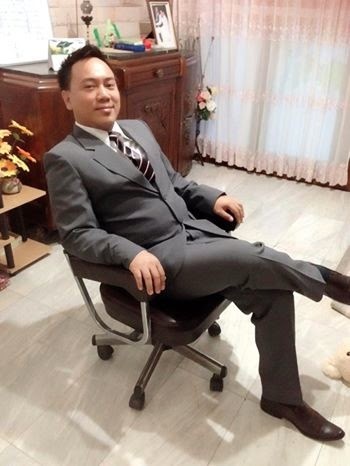 First, I would like to thank my friend Choneth for booking my trip. After telling her to help me arrange a good timetable for my flight, I received my itinerary in no time at all. Literally! Like she was The Flash. The reason I went to Bangkok was because of an invitation from Dr. Warong to speak in front of MPs, mayors and school directors about the project “English for every child.” The attendees would like to hear my story as to how we started, the planning, recruitment of teachers, etc. They would like to follow our path and do what we did to their constituents. IT’S TIME TO FLY NOW! Anyway, I left home at about 6:15 am and drove straight to the airport. 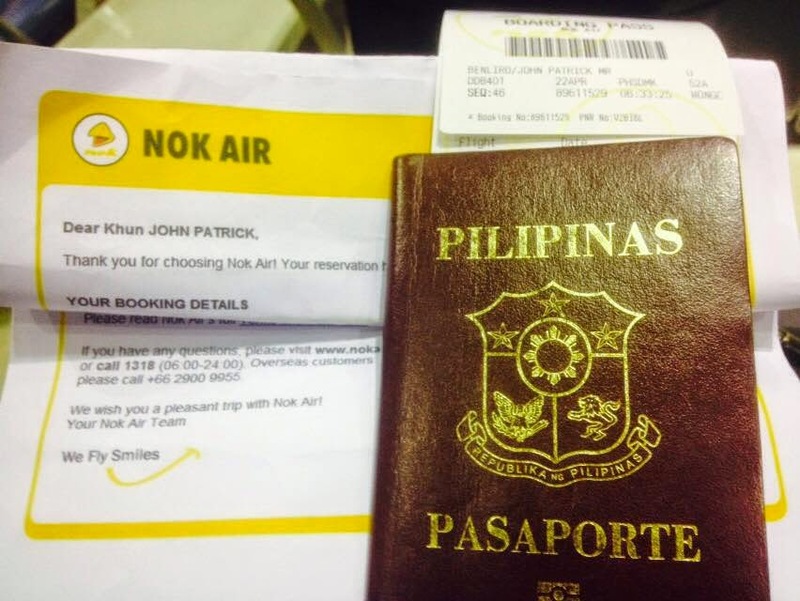 I was greeted by a friendly check-in clerk of Nok Air. She allowed me to choose my seat and even walked me to the departure lounge. I told her not to, but she insisted. Edi wow! Don Muang welcomed us less that 50 minutes after we took off from Phitsanulok a little past 8. I was out getting a taxi at around 9 am. I called Dr. Warong and told him I was getting a taxi. But since the traffic wasn’t that friendly, my phone rung. “Where are you, John?” Dr. Warong asked. I told the driver to go faster. 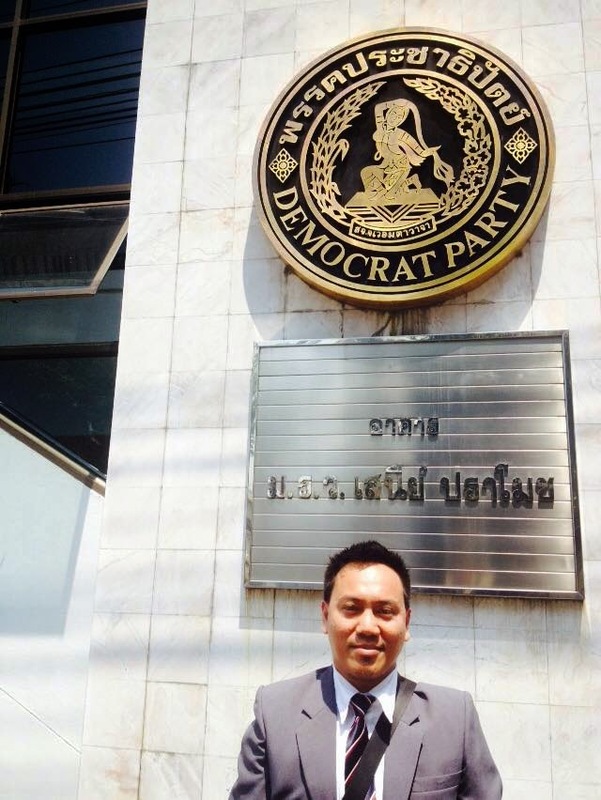 After a few minutes, I found myself standing for the first time outside the Democrat Party house in Samsen. I called Dr. Warong again and he sent someone to get me. I met Joey, a man in his 30’s I think, who works for Thailand’s former finance minister Khun Korn. Joey’s English was impeccable, more like a native than Thai. He was the one who translated what I said to the audience. My presentation was short – less than 15 minutes I think. I told them how it all started, whose idea was it, the planning, etc. Everyone was all ears. Some were taking videos while I speak. Others were taking notes. They were all nodding whenever I say something about the progress of the kids. I also showed them a video clip about the development of the kids from week 1 until the final week four months later. Then questions started flooding in. They asked about the recruitment process and if I can be of help. Someone also asked if I could come up with a syllabus that could be used by them all. There were so many questions I could no longer remember. But, the most amazing question was, “Could you visit Kanchanaburi and do a short presentation about this project? Once you’re done, we can visit Phitsanulok to observe you how you do it exactly.” Hmm, such an offer. I can’t help but smile. To cut it short, they were impressed how this project became so successful and big. They want to copy what we did and perhaps have a little modification to suit their own kids. And the applause was heard!